Providing undergraduate students with research opportunities is one of UFV’s defining strengths. 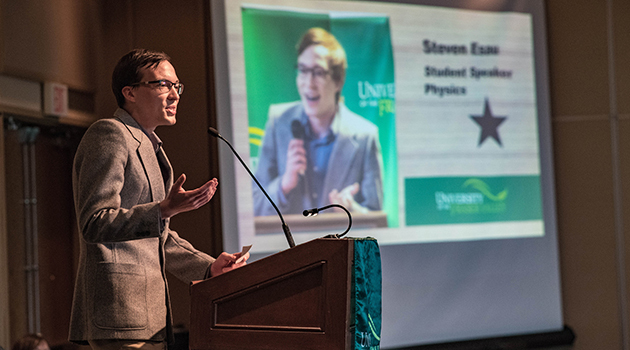 That strength was celebrated on May 24 as top student researchers were honoured at the annual Undergraduate Research Excellence awards. A total of 41 students were recognized at the event, receiving more than $25,000 worth of research awards, the most in the 14-year history of the event. The theme for the night was Scrabble. 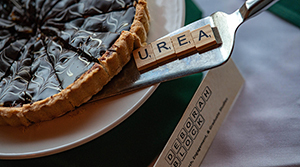 “Anyone who has played Scrabble knows the value of hitting the triple word score. Education’s triple word score includes knowledge, skills, and experience. Students who participate in research activities hit the triple word score every time,” said Dr. Adrienne Chan, AVP Research, Engagement, and Graduate Studies. 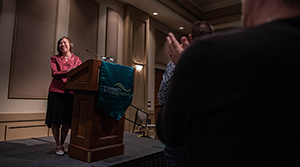 UFV President Joanne MacLean praised the student researchers for their curiosity and willingness to embrace research opportunities. Bachelor of Science student Vivienne Beard, who graduates this June and is headed to medical school, spoke on behalf of the students about the value of research. “Simply put, research opens doors of opportunity. I am so grateful for the research opportunities that UFV provides, unique opportunities that I would not have had at any other university. UFV has not only taught me what research really means, but it has shaped me as a person. I went from being a student afraid to ask questions in class to presenting my work at conferences. I went from not knowing why research was interesting, to being a strong advocate for its transformational power. “I’ve had the pleasure of attending three UFV Student Research Days, and my favourite part is asking fellow students about their work, because when I look at research at UFV, I see a beautiful spectrum of diversity. I see psychology students asking questions about human thought and behaviour. I see kinesiology students using their skills practically to help others. I see chemistry, English, physics, geography students and everyone in between invested in and excited about their work. 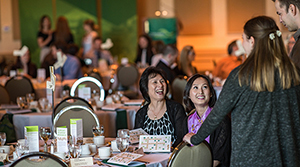 Several students were recognized as Canada Graduate Scholarships award winners (worth $17,500) as they prepare to leave UFV to continue their graduate studies. Several students received NSRERC Undergraduate Student Research Awards (worth $4,500). These national awards are meant to stimulate interest in research in the natural sciences and engineering. 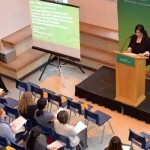 They allow students to gain valuable research experience that complements their studies by working full time for a term with a nationally recognized UFV faculty researcher. Paige Bogaerts, Darien Francis, Ishaval Gill, Bradley Hildenbrandt, Geordi Legault, Gillian Mann, Christina Owen, Caitlin Parray, Mika Sevcik, Matt Walz, Neil Webb, Ian Wilson.